Dada was/is an amazing songwriter, but while I have much to appreciate on most other aspects of their catalog — their crafty songwriting, soaring vocals, subtly virtuosic guitar playing, and so on — lyrics, unfortunately, is where I usually have a disconnect. They tend to stay on quirky, sarcastic or intentionally juvenile topics about some high school fantasies, and while they are all well-crafted, I just can’t relate to them. This song is one of the few exceptions. In fact, this song is responsible for hooking me to Dada to begin with — I believe I was sampling this song in a store somewhere (does that mean I was listening to it when it was new — back in 1996? Possibly) and the chorus just blew me away. It still does, in fact, I can’t believe they can make it sound so huge with just two voices. 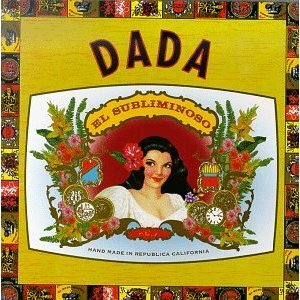 Heroic, profound and surprisingly poignant at the same time, Dada puts their considerable genius into a timeless (pan intended) message, instead of capturing a snapshot of a certain time like they do with many of their other songs. I have to live now. Because there’s no other time to live. Past is gone, future is not here yet. I know it’s so obvious, but yet those are two dimensions I occupy myself with most of the time. It’s a message I heard many times yet I still need to fully embrace it. But every time I put this song on, I have an inspiring reminder.